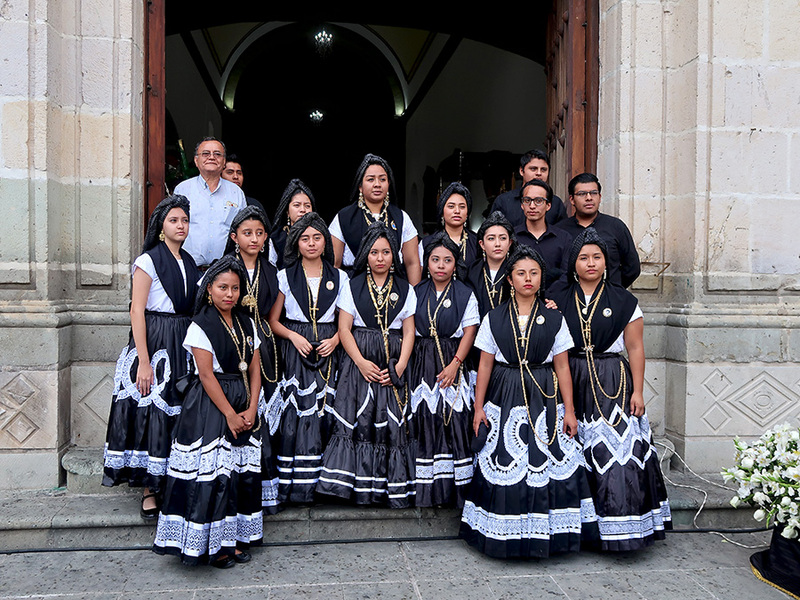 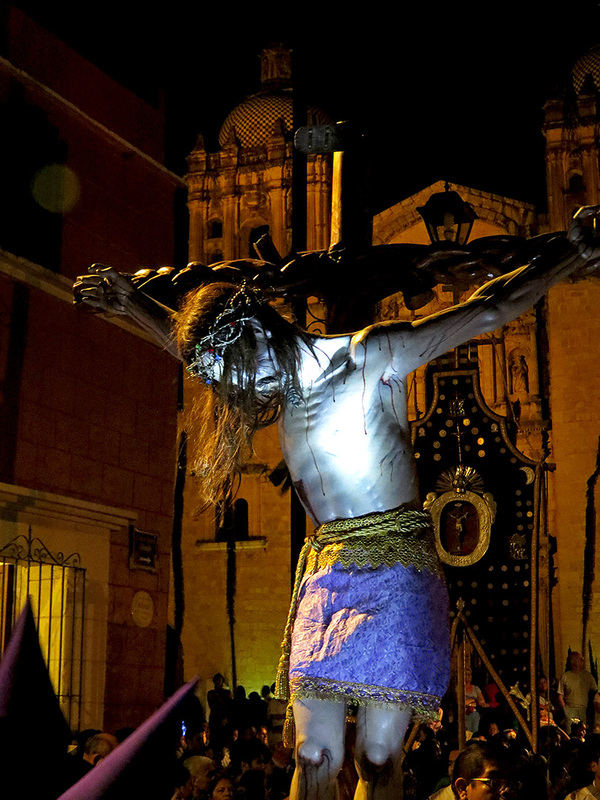 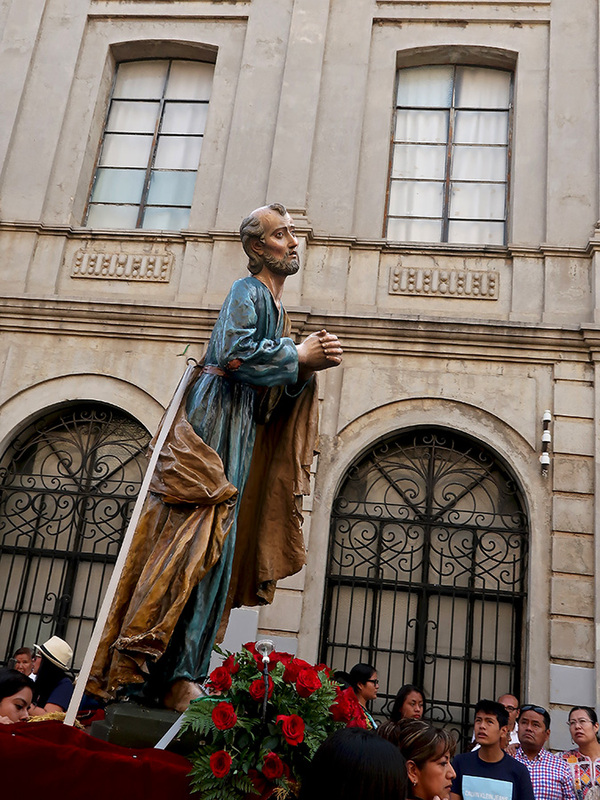 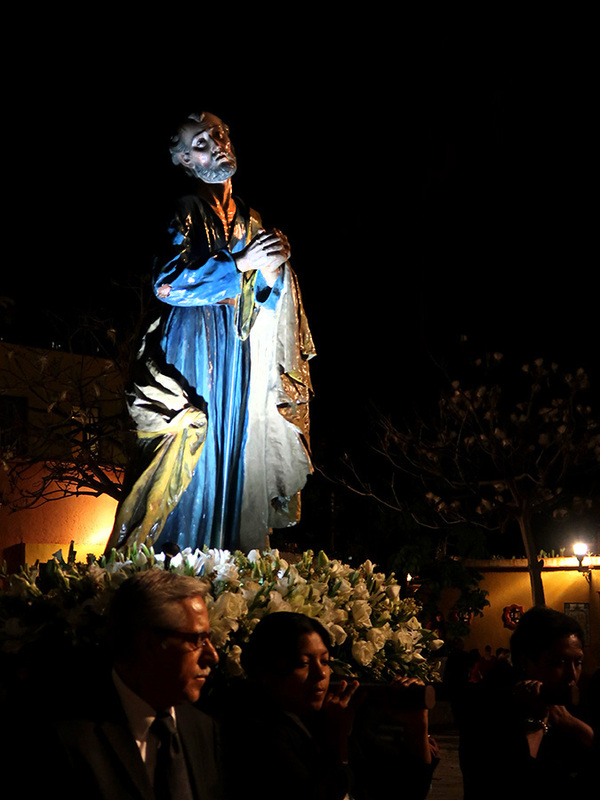 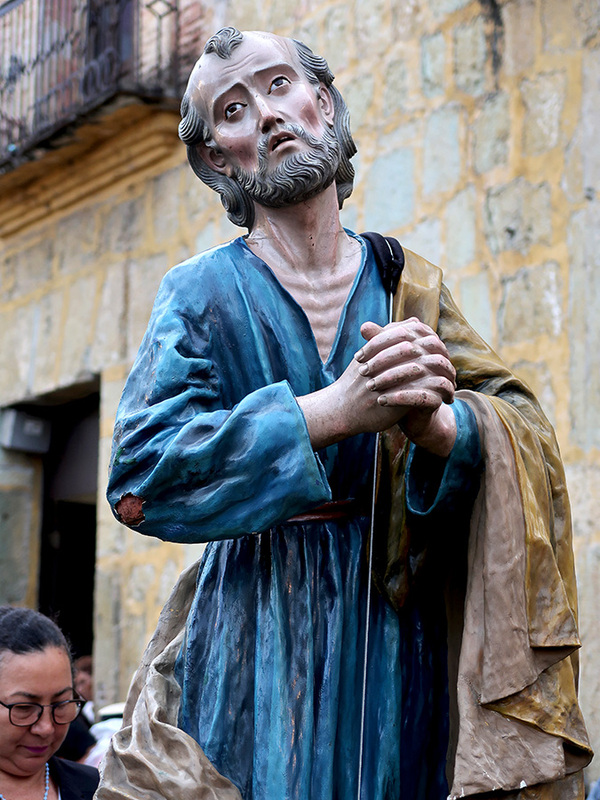 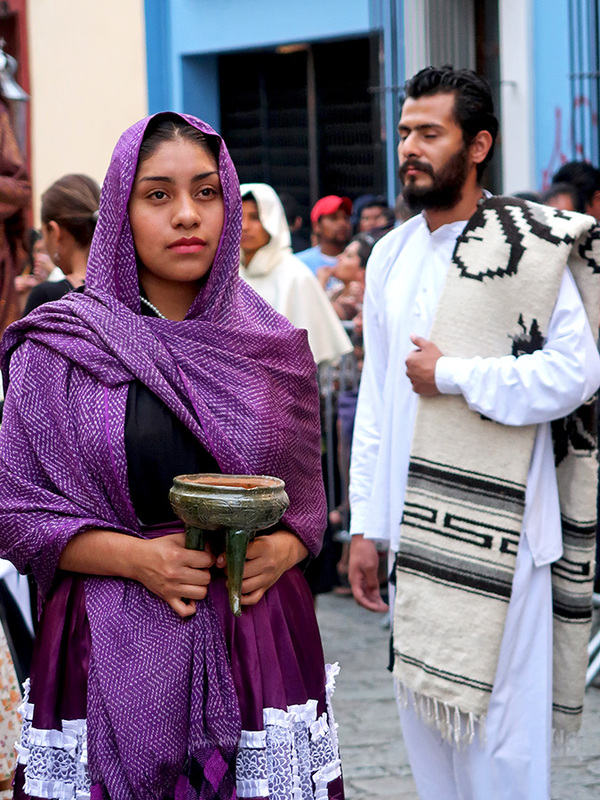 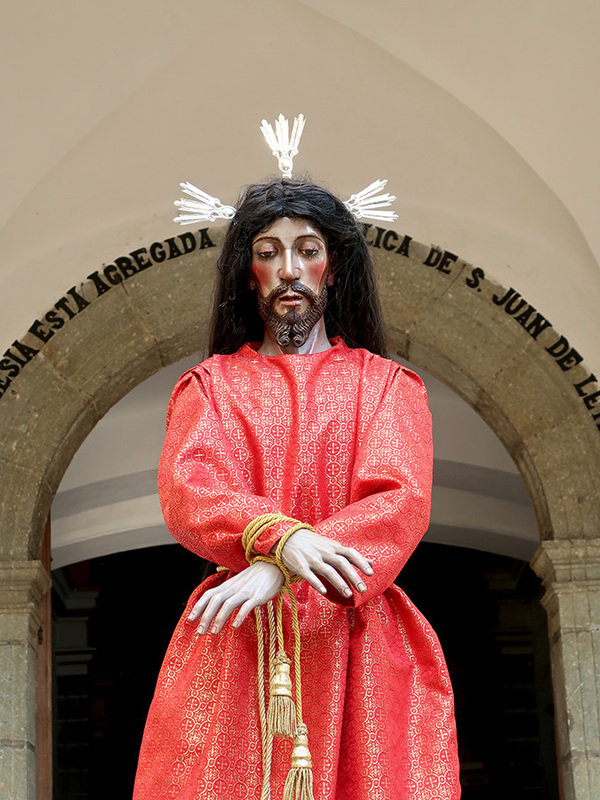 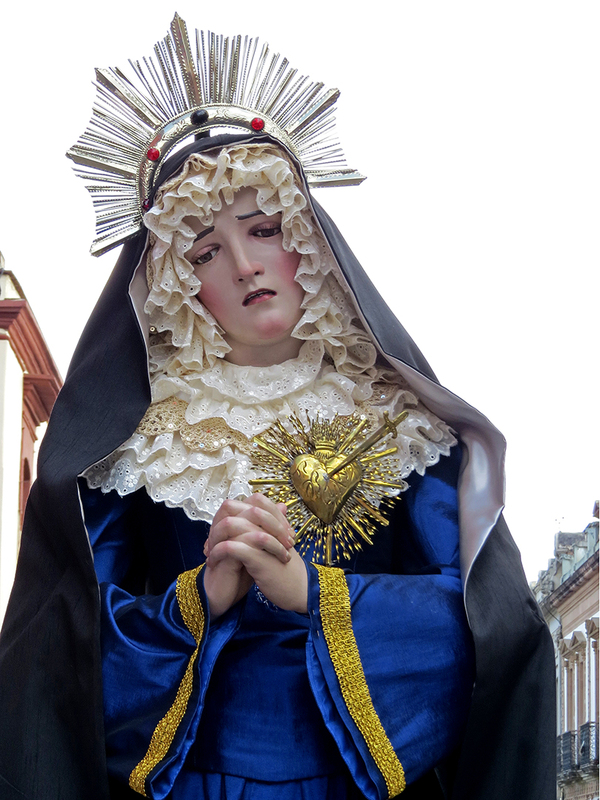 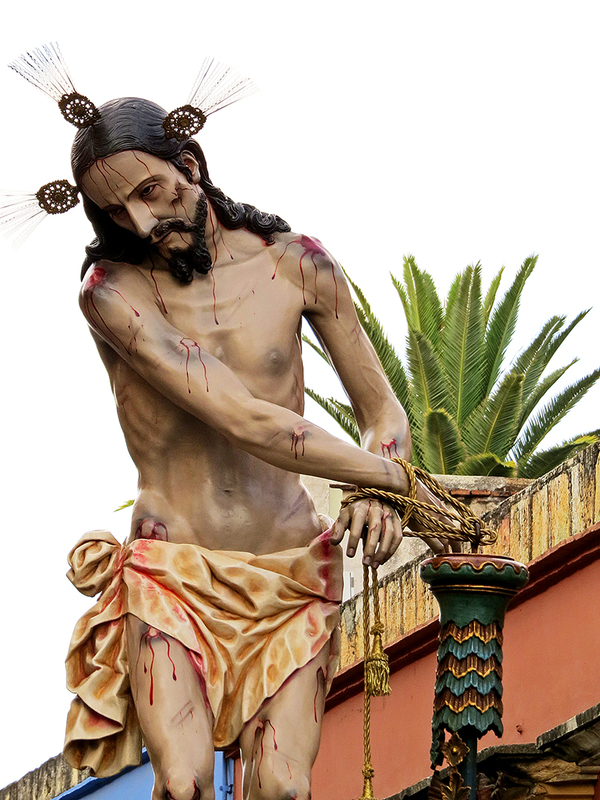 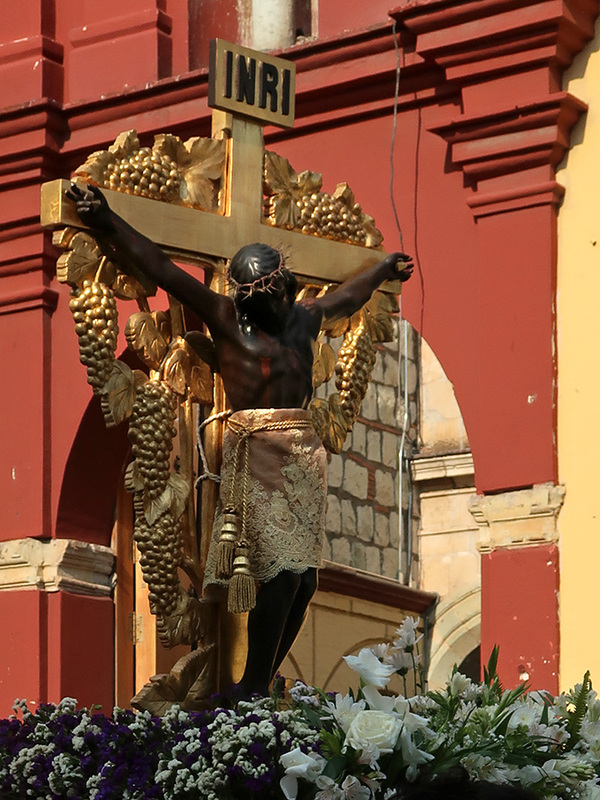 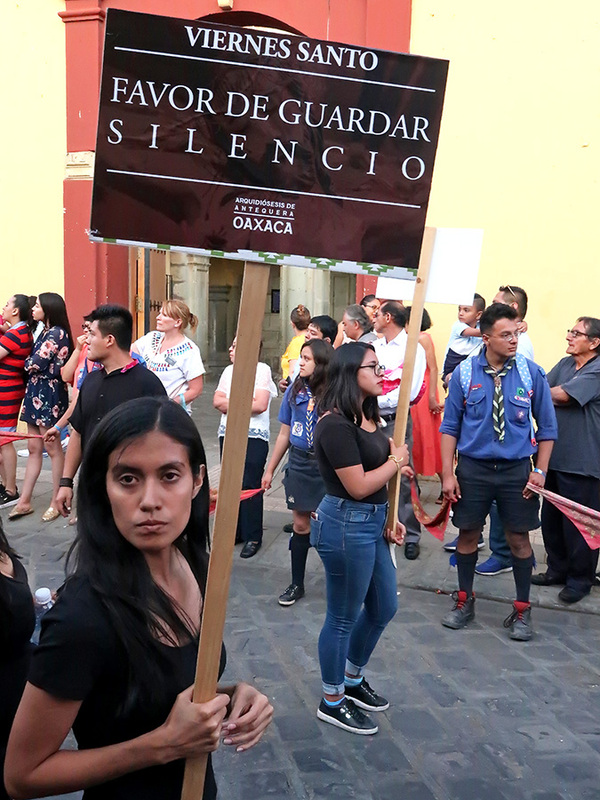 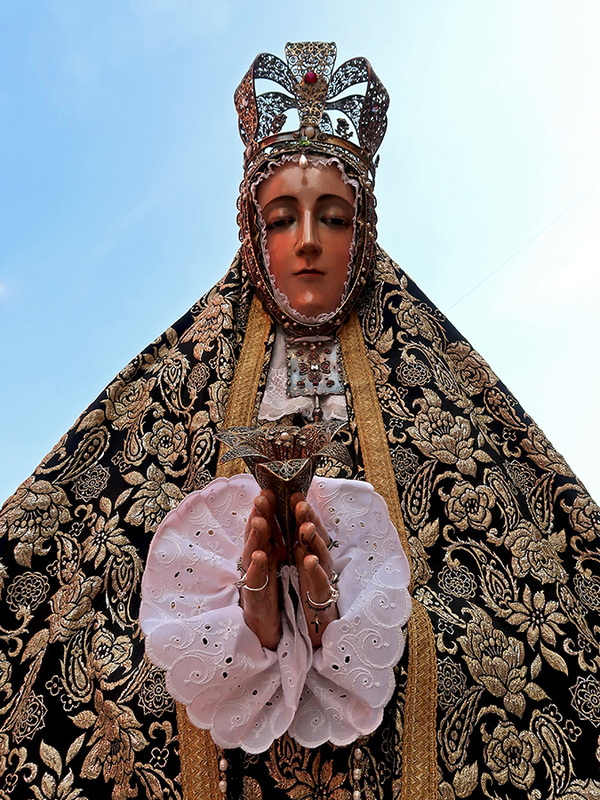 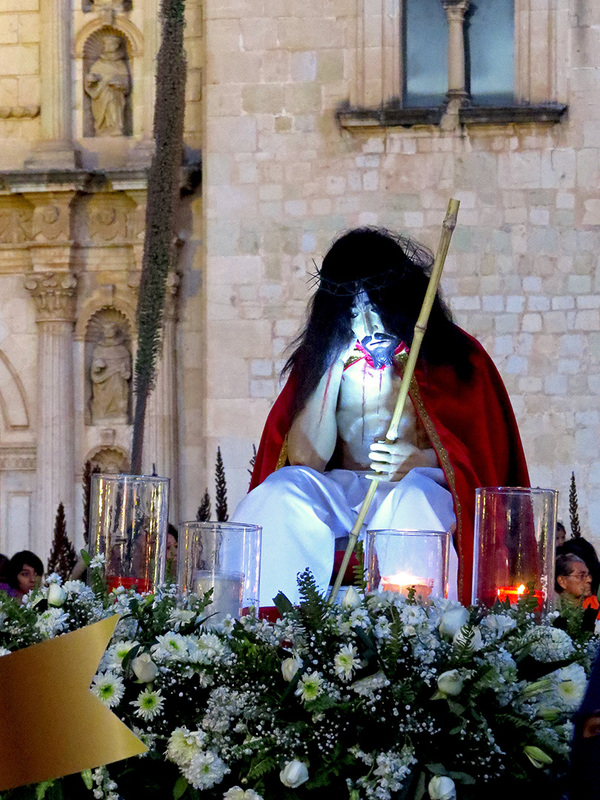 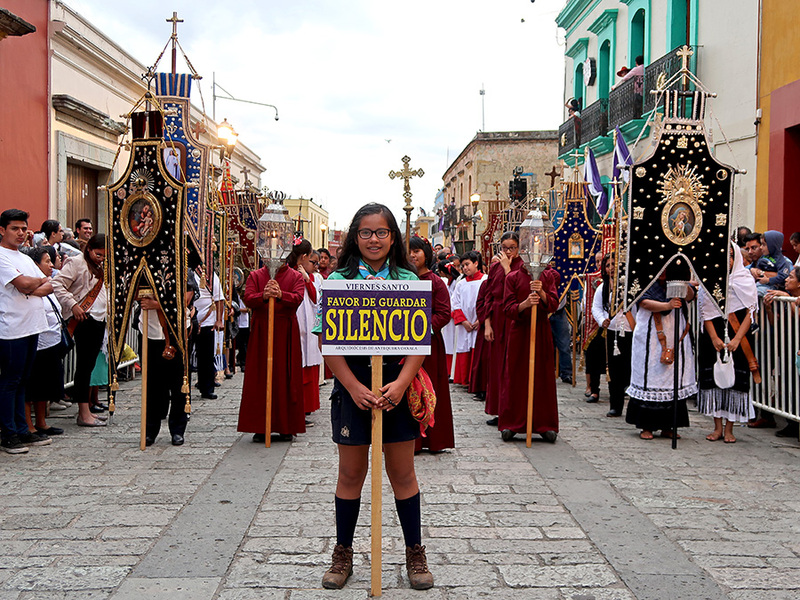 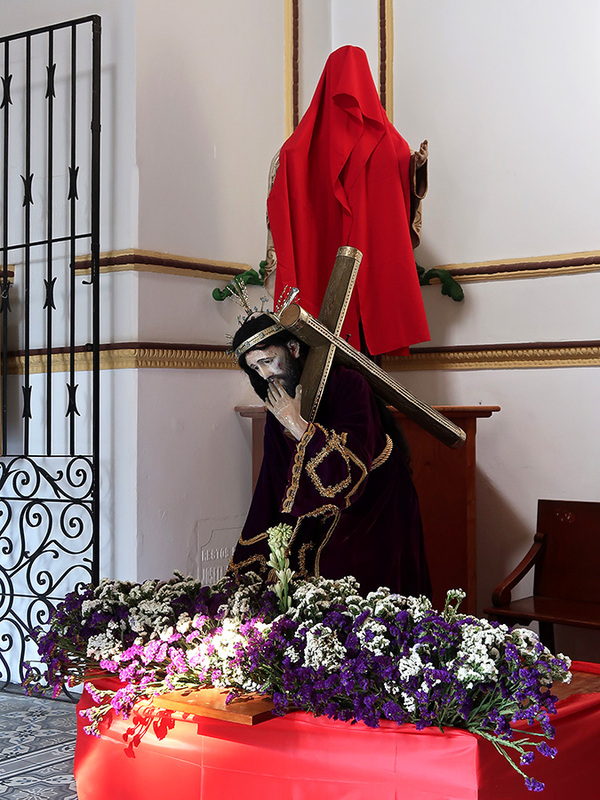 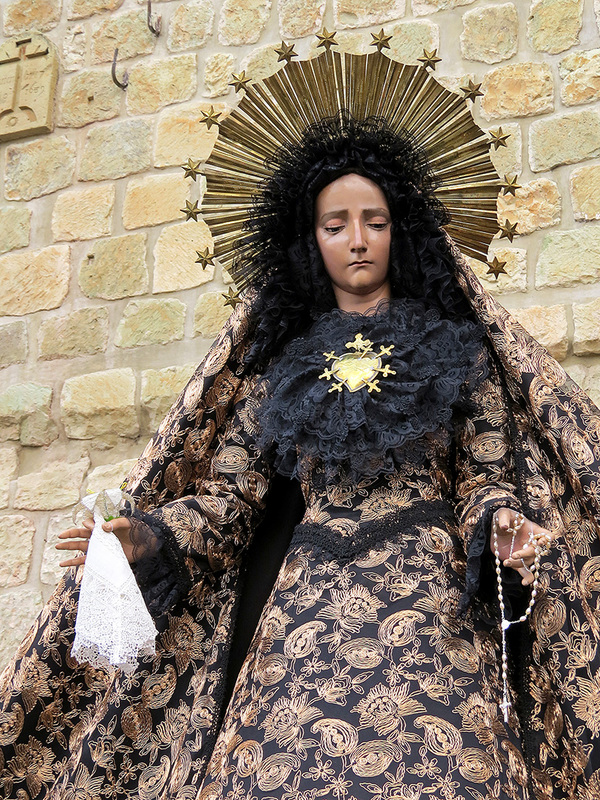 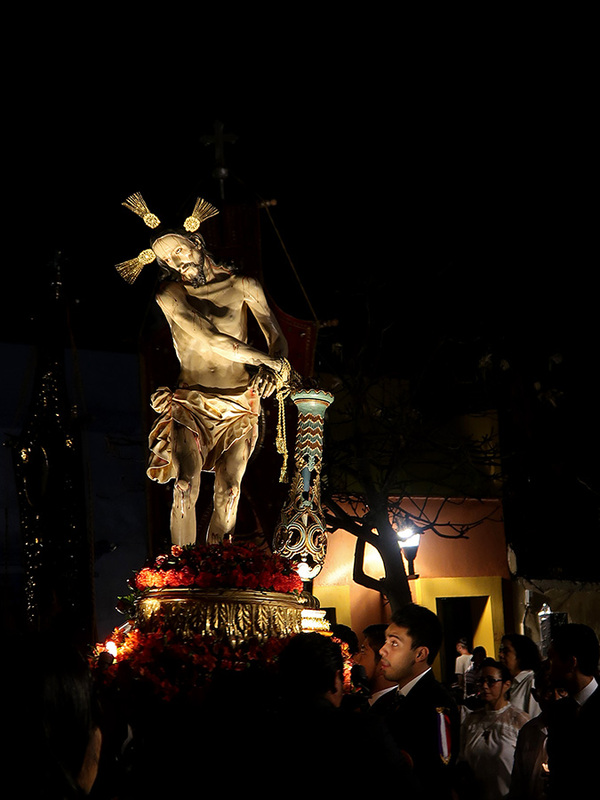 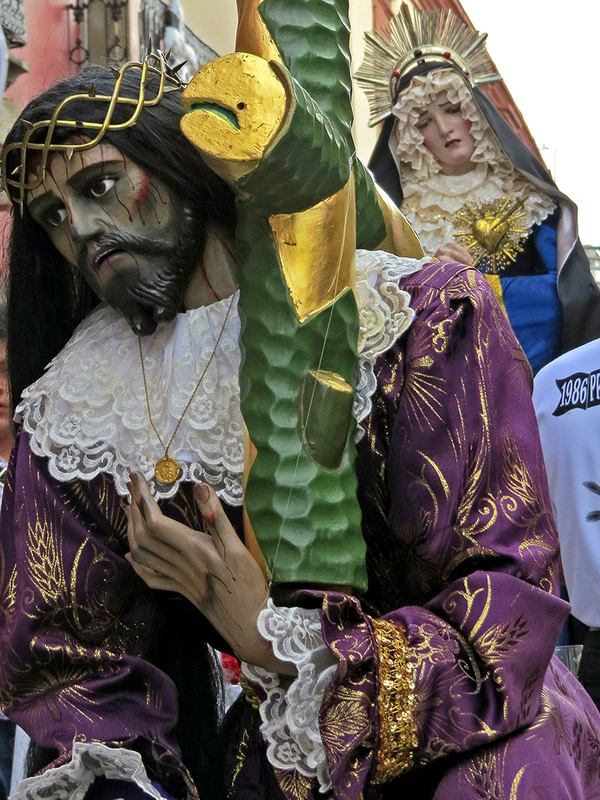 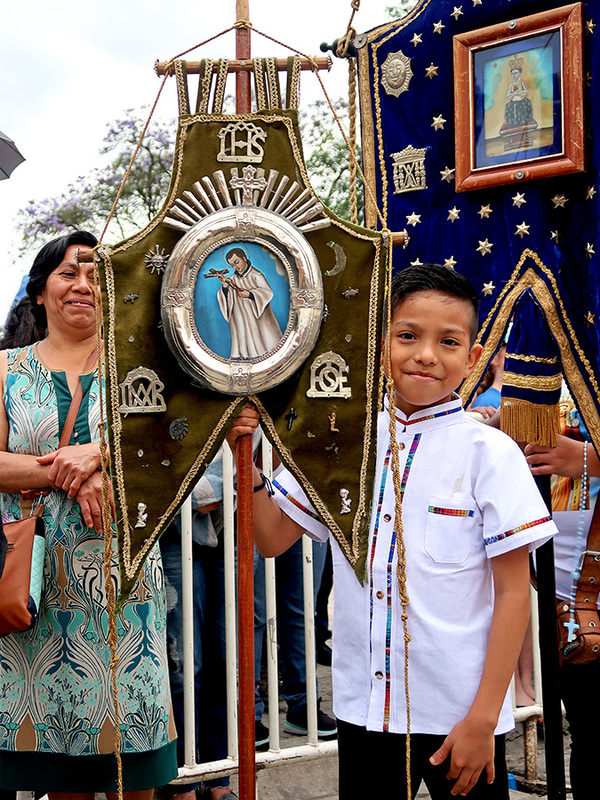 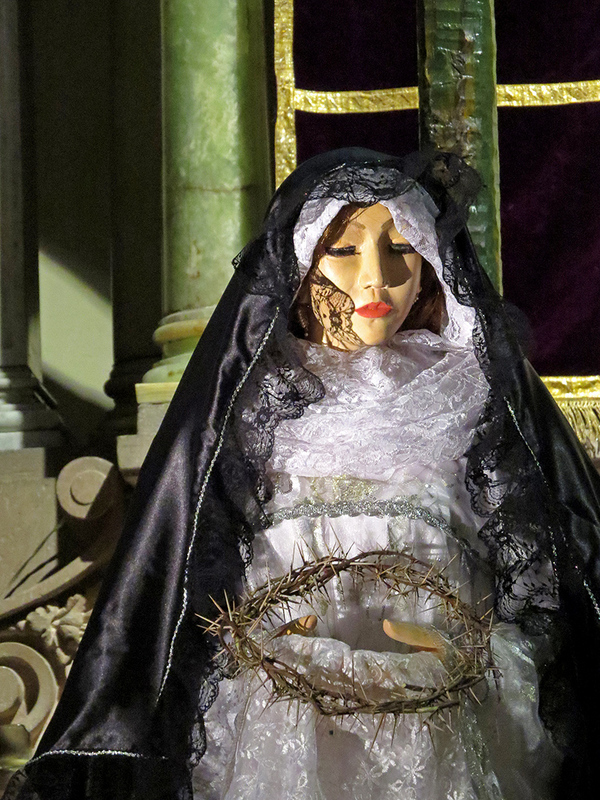 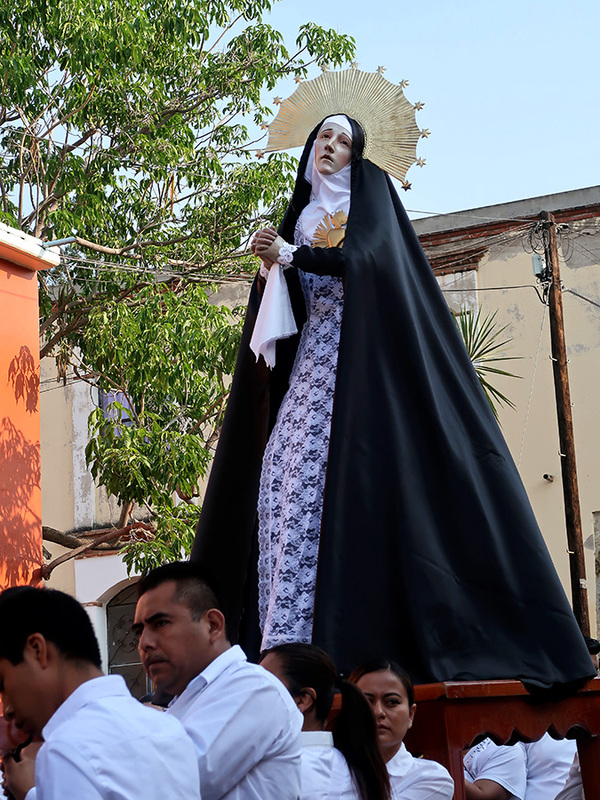 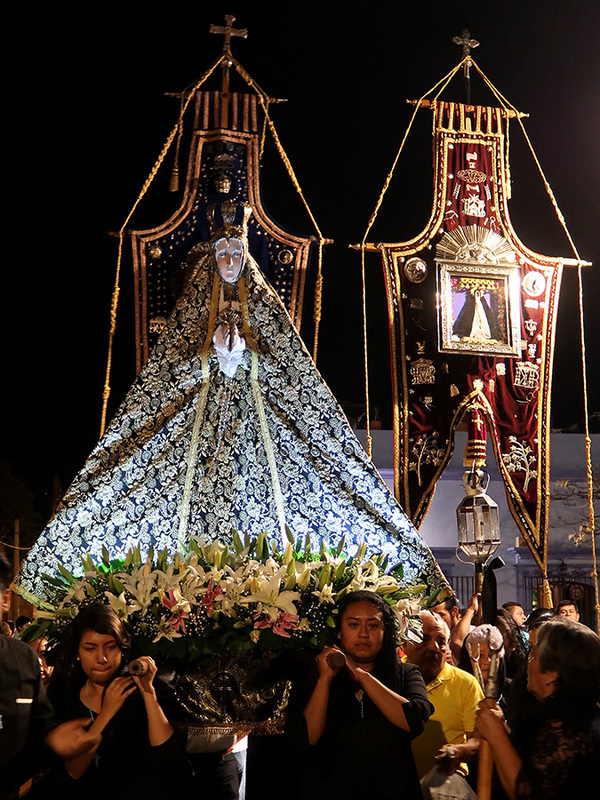 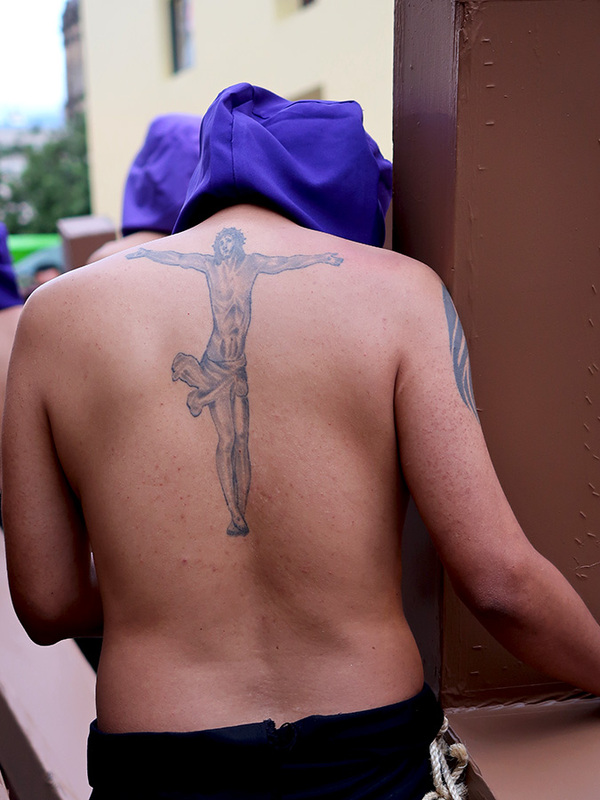 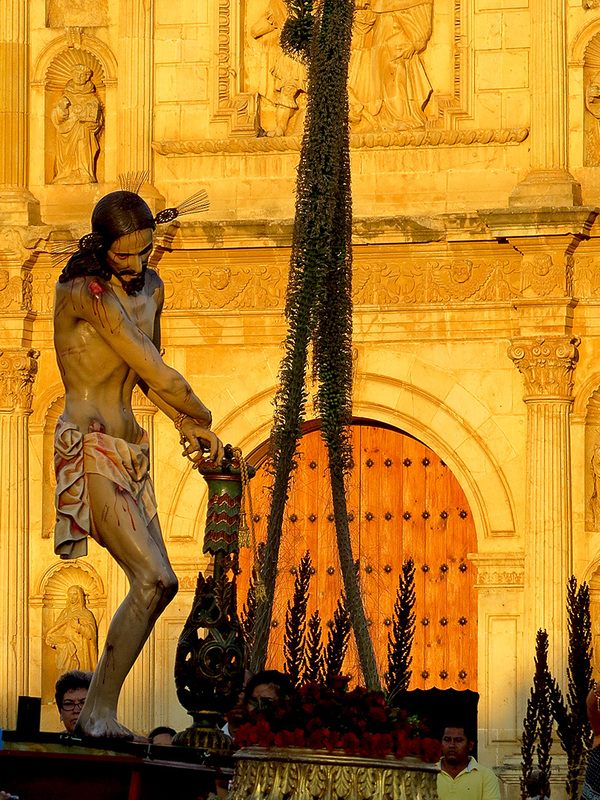 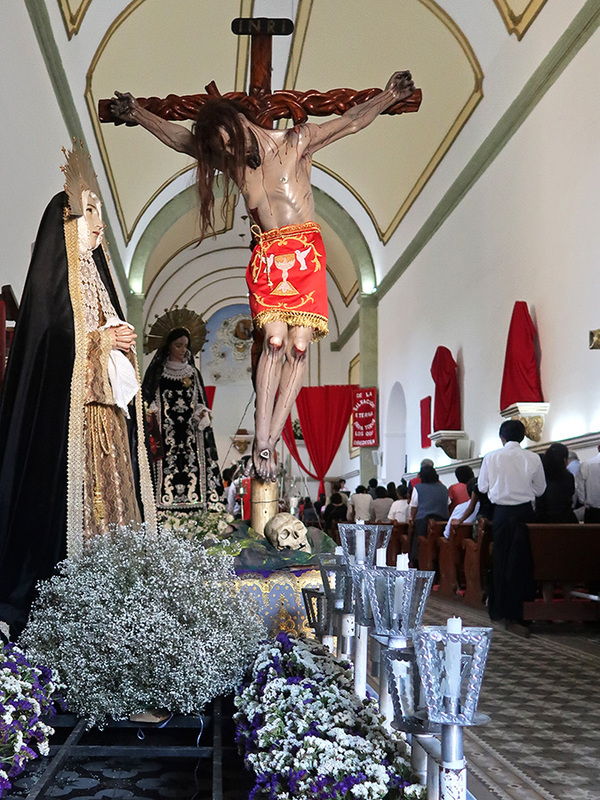 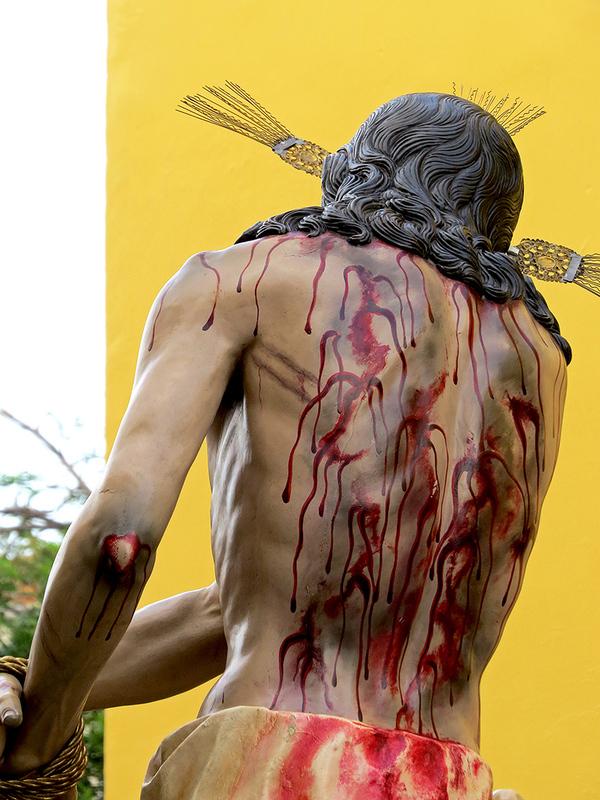 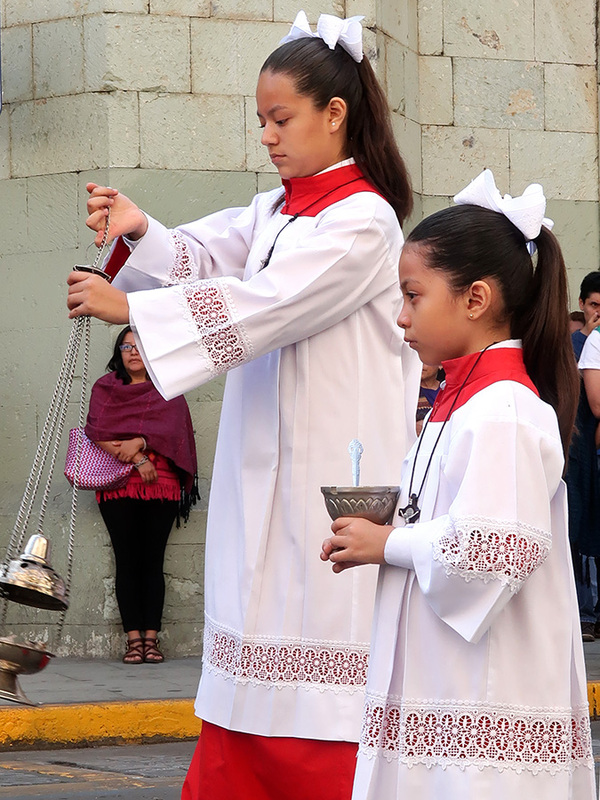 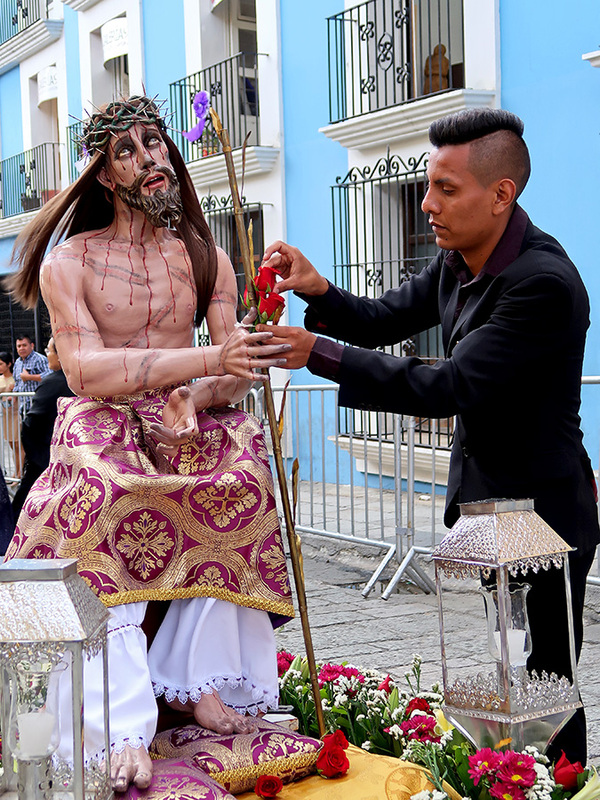 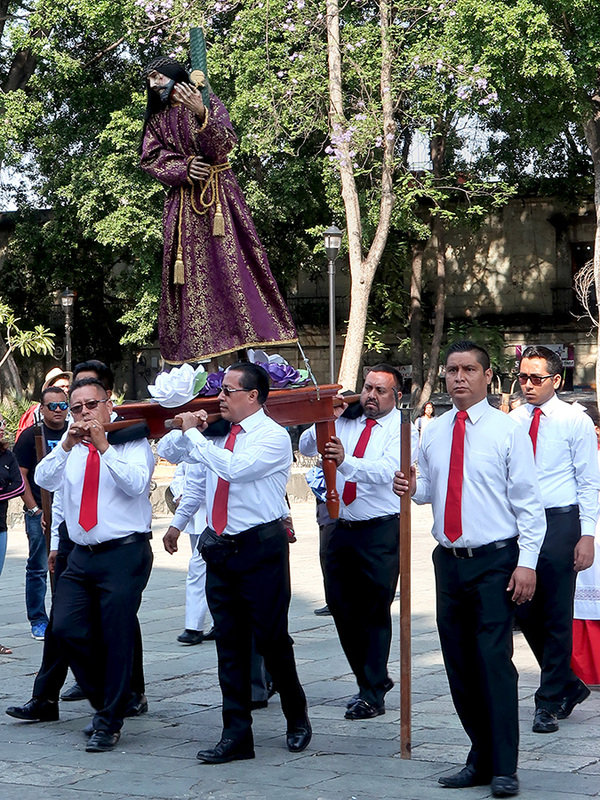 Lunes Santo (Holy Monday), at least here in Oaxaca, brings the Festividad del Señor del Rescate (Festival of the Lord of the Redemption). 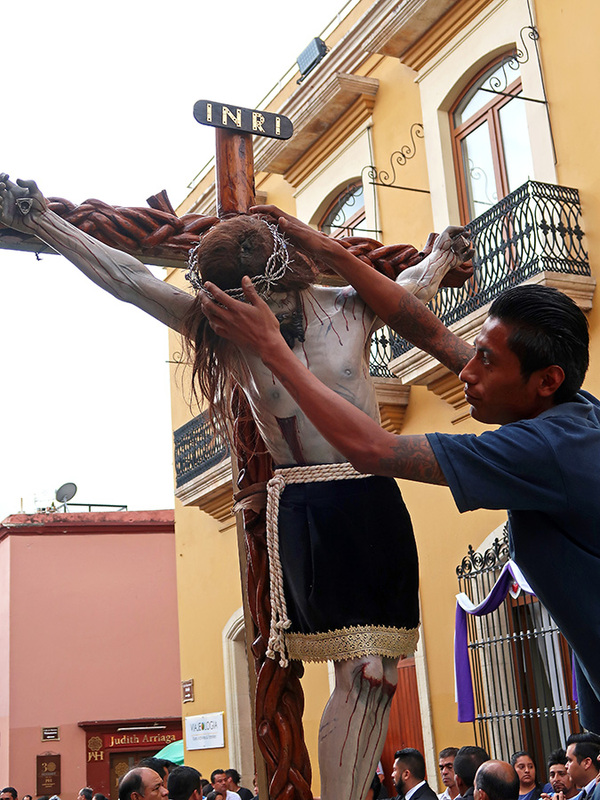 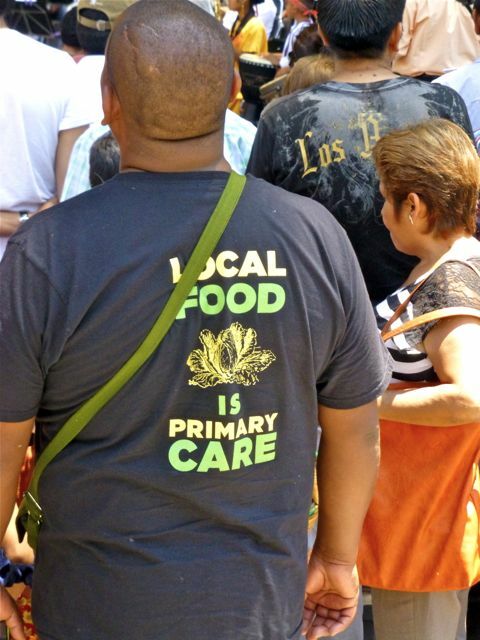 I was clueless, until I ran into my neighbor Juan as he was returning from work. 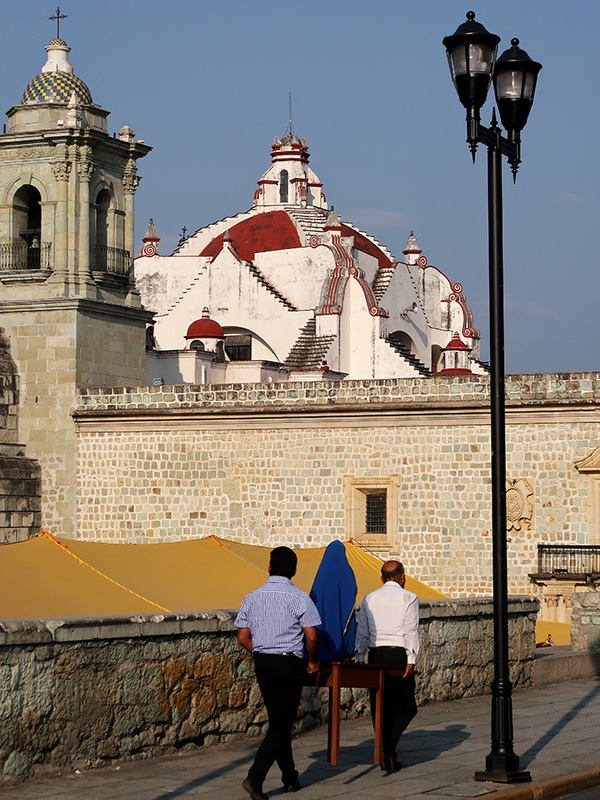 He recommended that I and my camera check out the action in the vicinity of the Basílica de la Soledad. 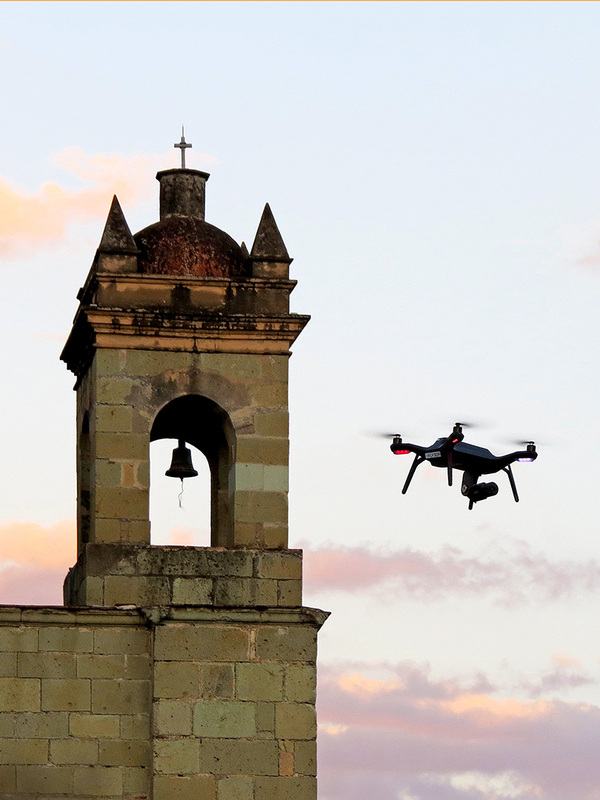 I grabbed my keys and little Lumix and off I went. 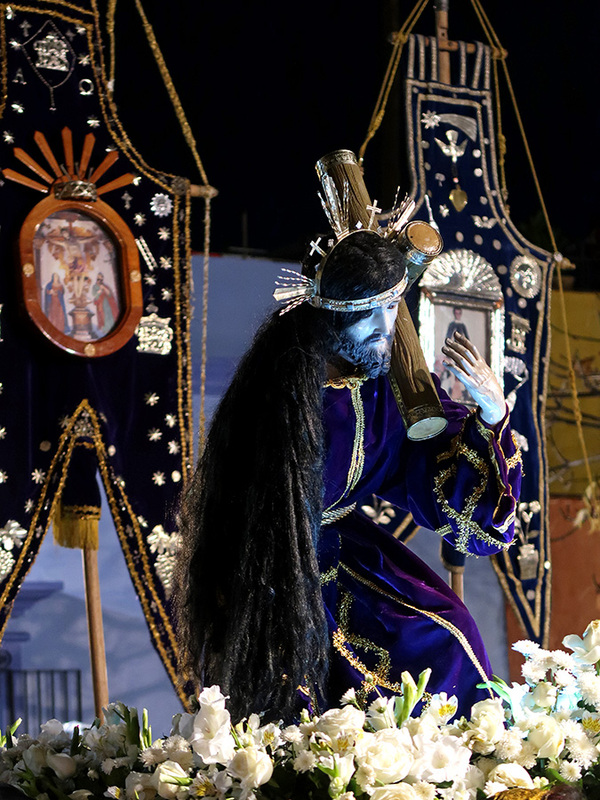 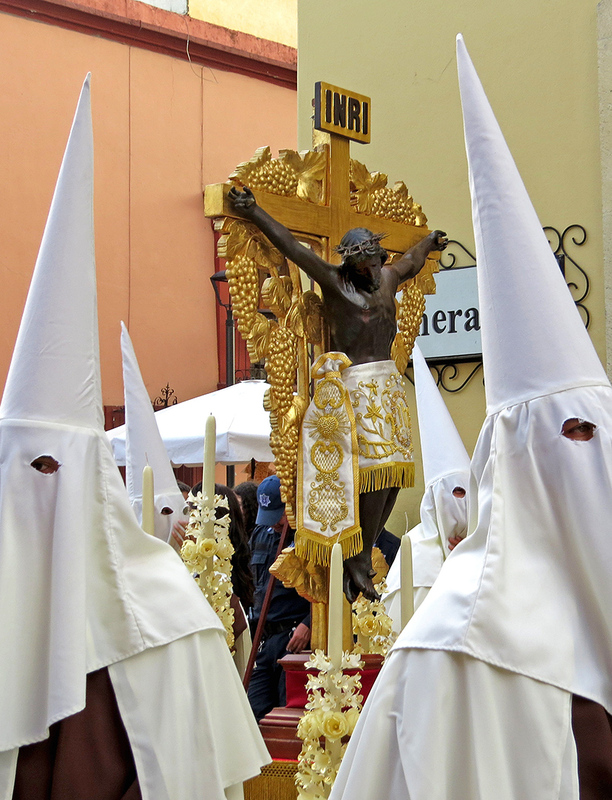 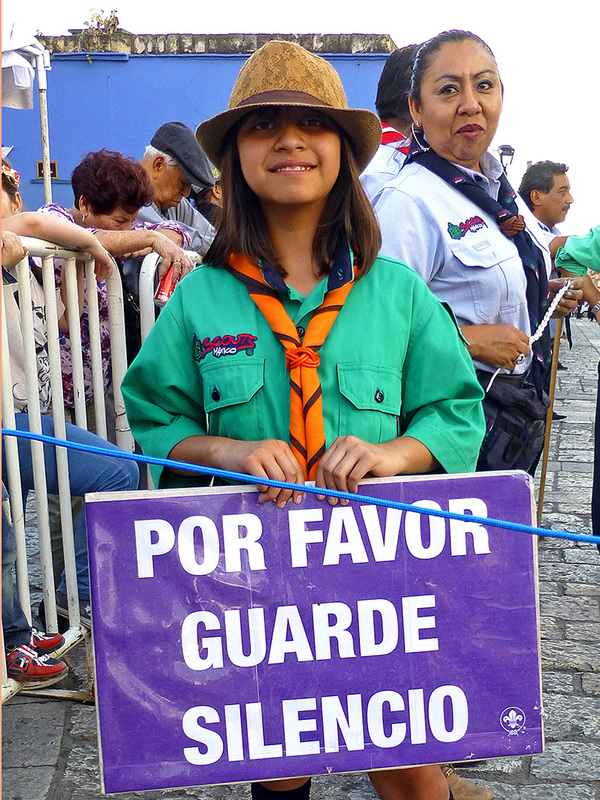 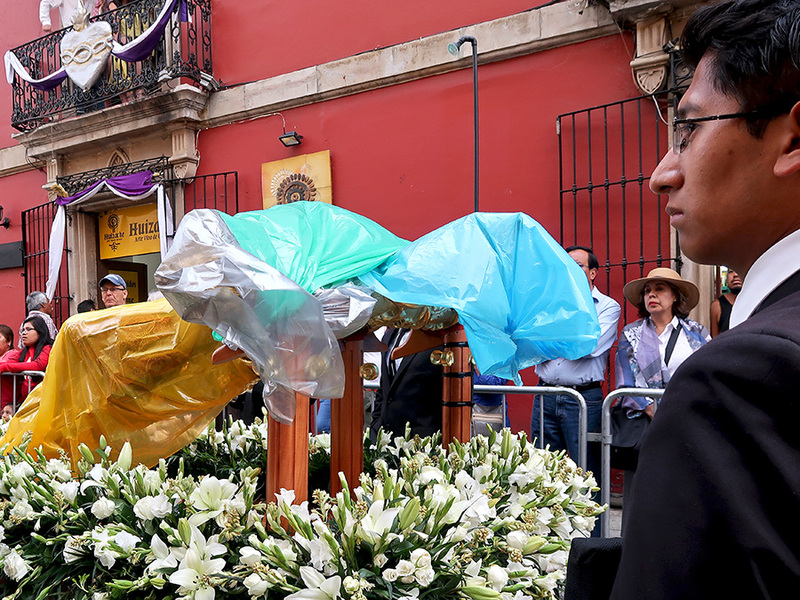 I heard the rhythmic beat of the tambor and chanted prayers before I saw El Señor and his followers paused in front of the bunker at the entrance to the Comisión de Seguridad Pública, Vialidad y Protección Civil headquarters on Av. 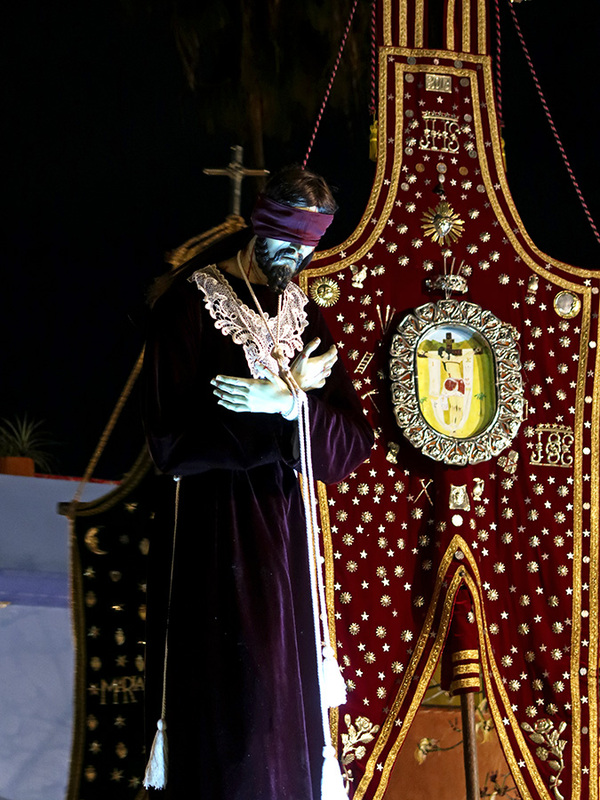 Morelos. 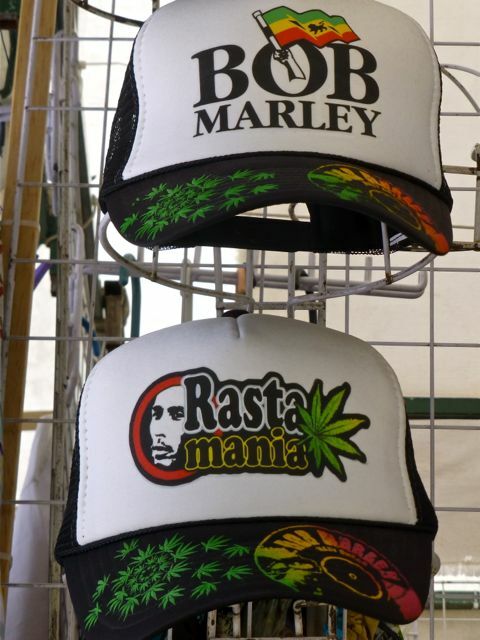 An ironic or fitting (?) 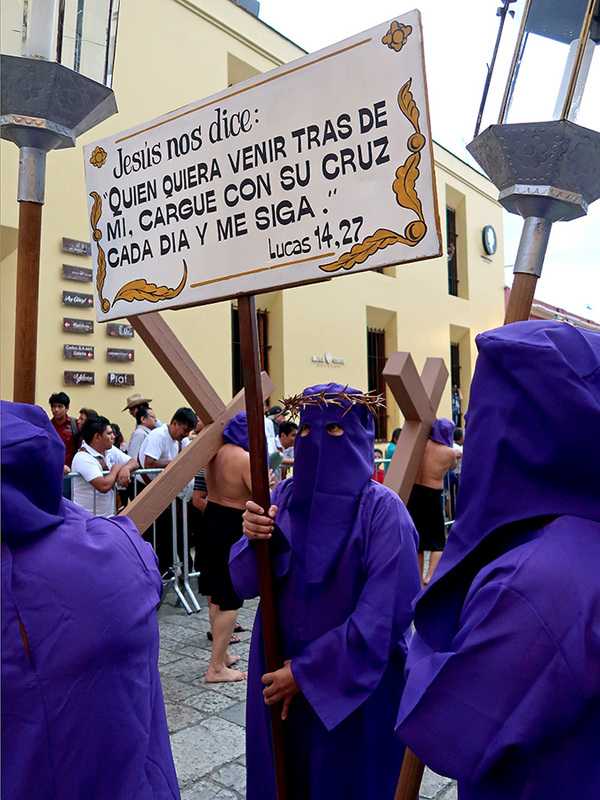 site for the handcuffed Jesus to stop on the Víacrucis por la Reconciliación y la Paz (Way of the Cross for Reconciliation and Peace). 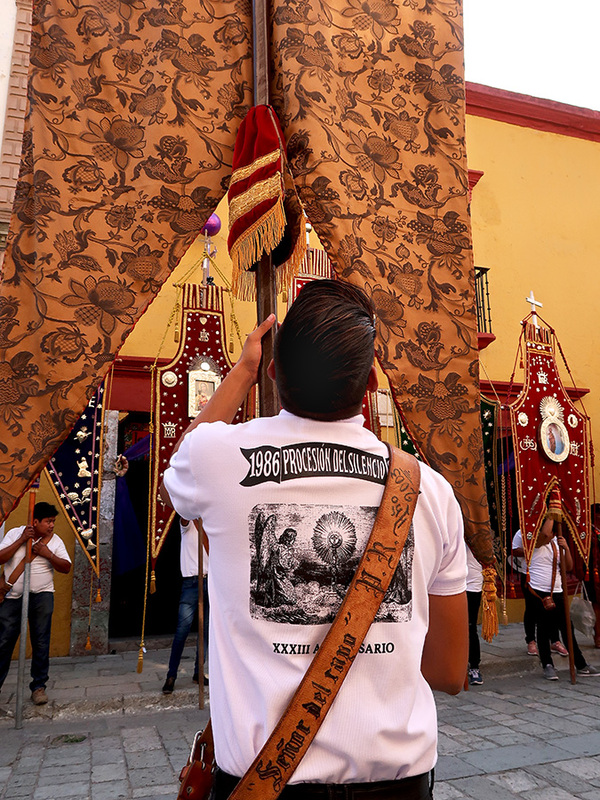 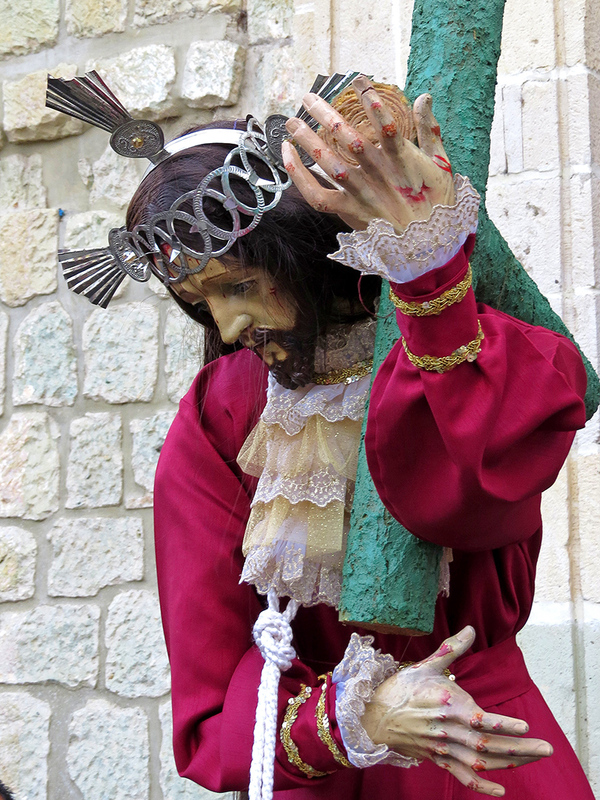 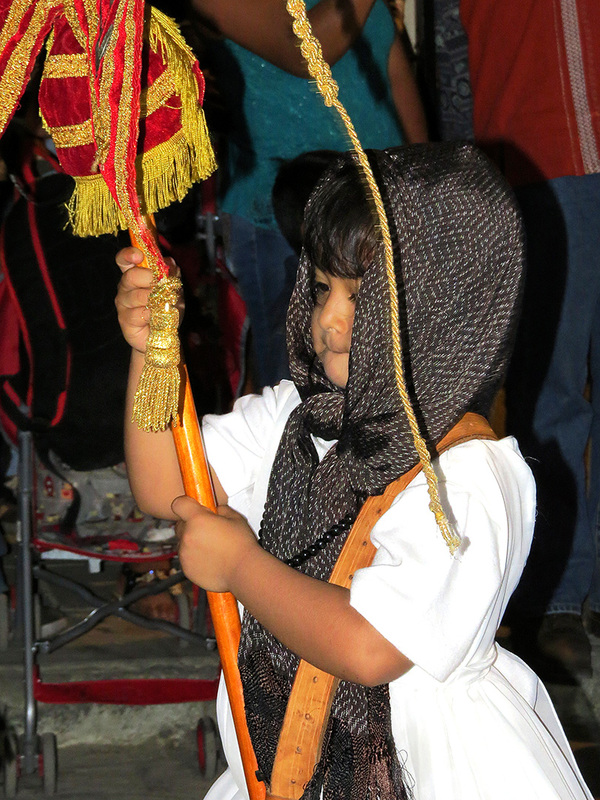 On this Lunes Santo, the (almost) full moon watched standard bearers navigate the maze of overhead wires as the procession continued to wind its way through the city’s streets. 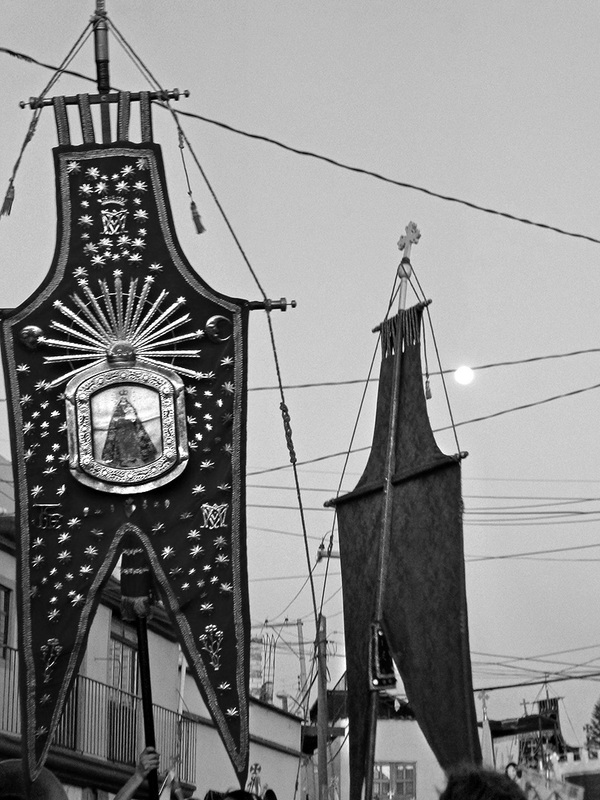 As for me, I returned home to eat dinner — there is so much going on, one has to pace oneself. 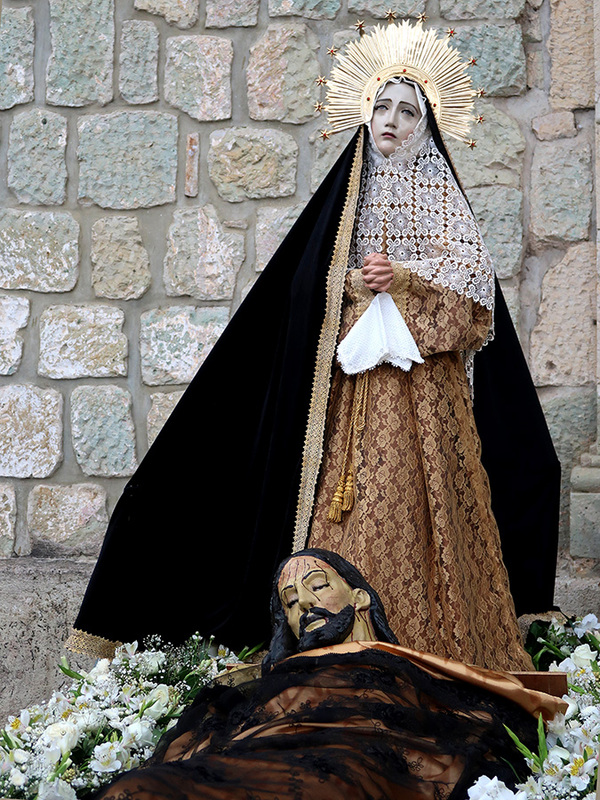 And, though nothing seen around the streets of the city, a happy Passover! 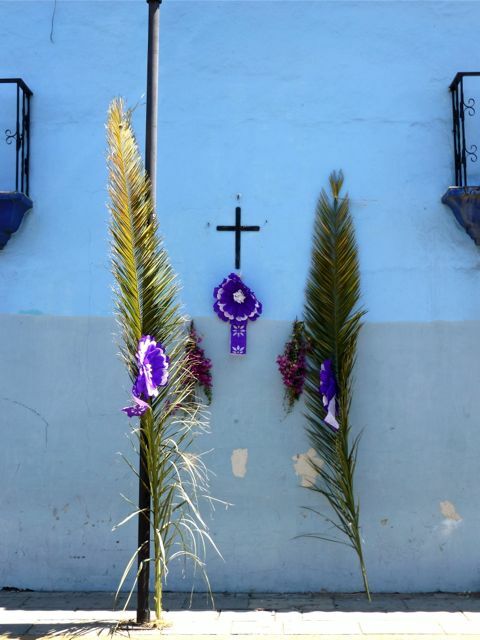 It’s been a week since the end of Semana Santa and I’m still sorting through photos and videos and reflecting on impressions and feelings. 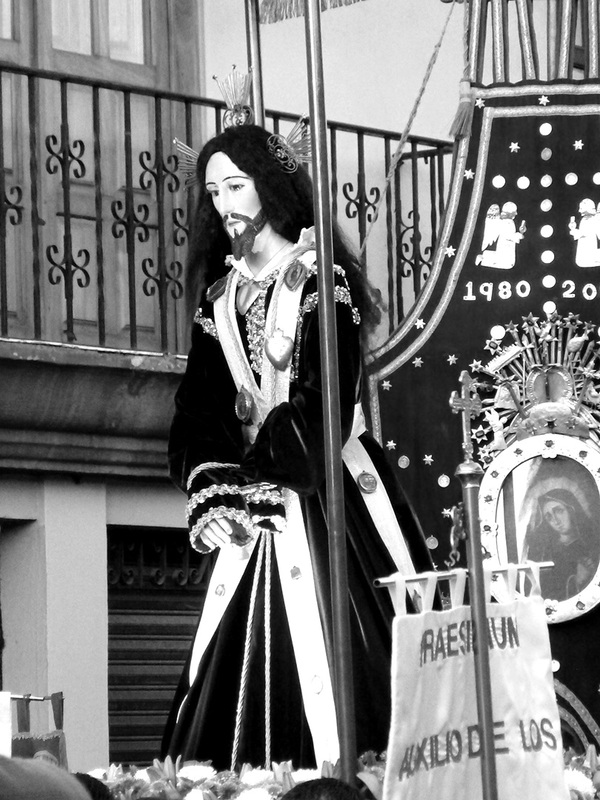 However, I’m finding that, with too much thinking, the experience slips through the fingers and the magic vanishes. 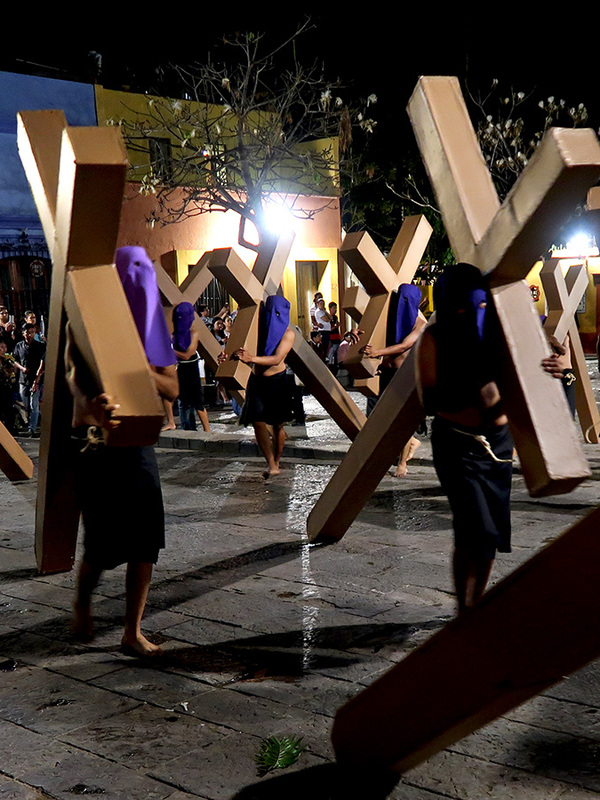 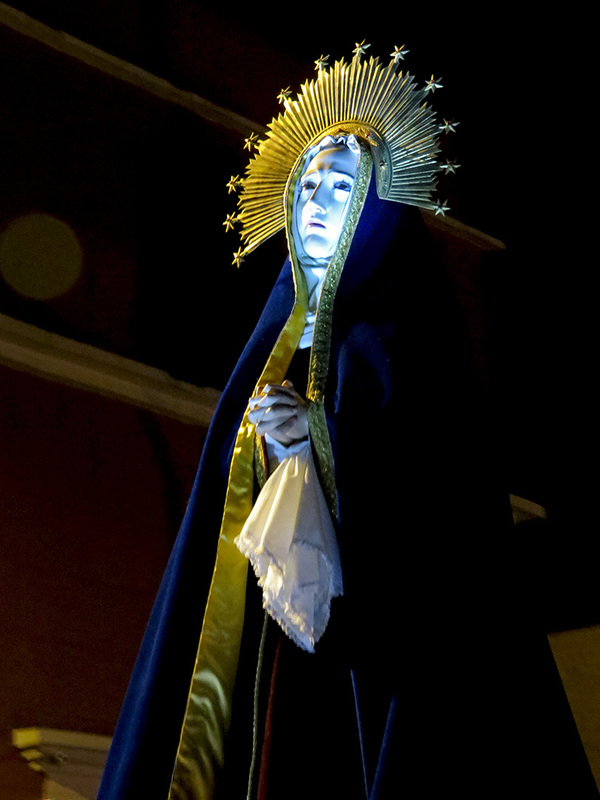 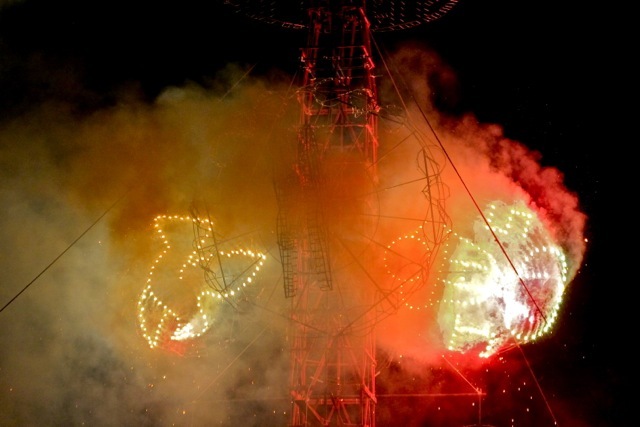 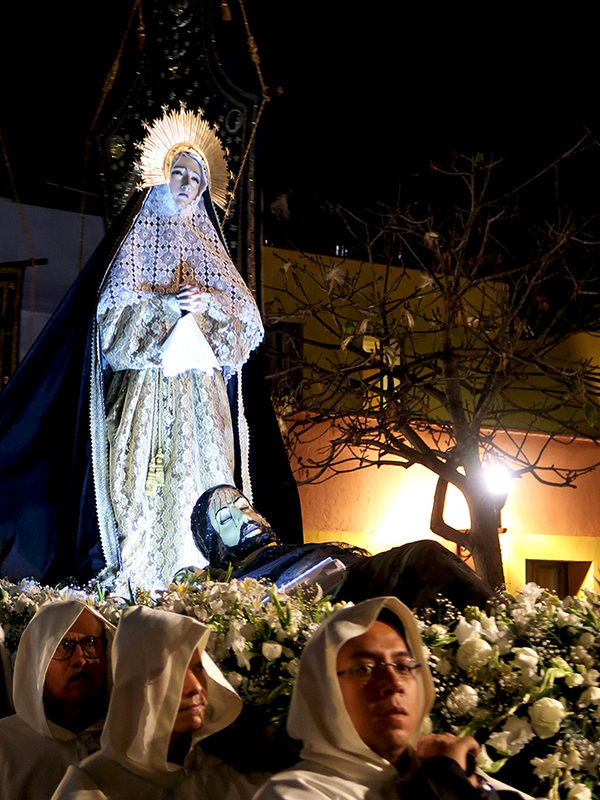 brought Semana Santa to a spectacular close.